Karachi: Prolific writer, poet, and musician Daud Rahbar passed away in Florida, the United States on last Saturday at 86. He is survived by his wife and two daughters. Born in 1926 in Lahore, Rahbar began writing poetry when he was only 8 years old. His father Mohammed Iqbal was an eminent Islamic scholar and poet. Rahbar was a graduate in Arabic literature and taught the same at Oriental College, Lahore. 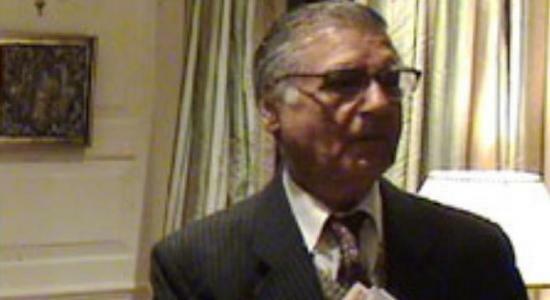 Mr Rahbar is an author of several books on a variety of subjects, including Salam-o-Payam (letters), Paragandah Taba log, Kulliyat ( a collection of poems) and Memoirs and Meanings. In 1958, he presented a paper entitled ‘The Challenges of Muslim Ideas and Social Values to Muslim Society’ in Lahore. He translated Ghalib’s letters into English and then wrote a book on the subject.